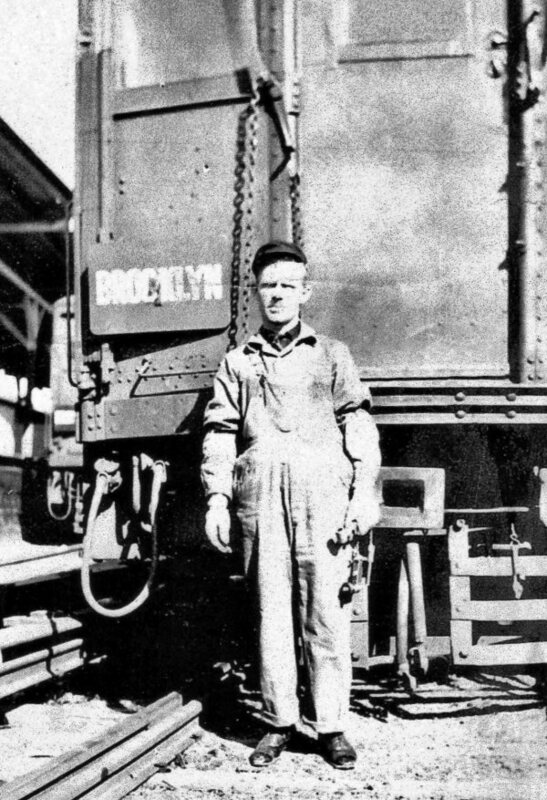 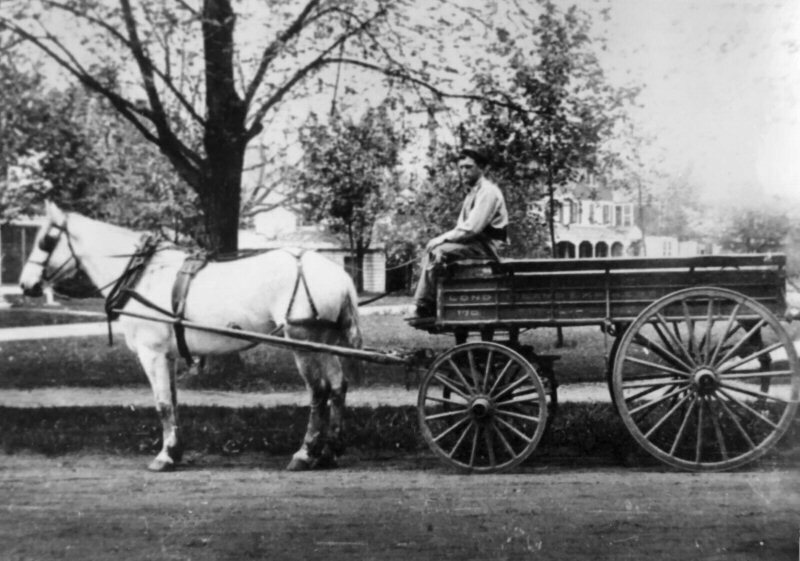 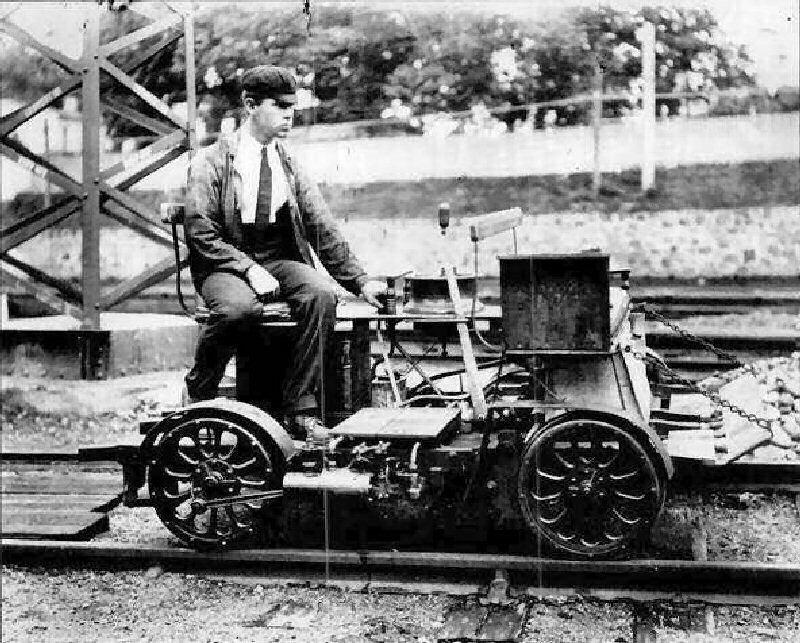 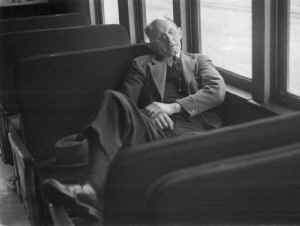 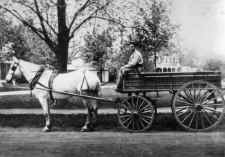 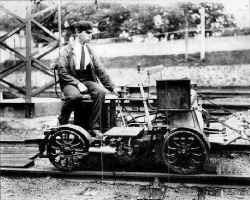 Irving Lewis Halleran, the driver on an Long Island Express delivery wagon, c.1890's Archive: Scott Halleran, Grandson. 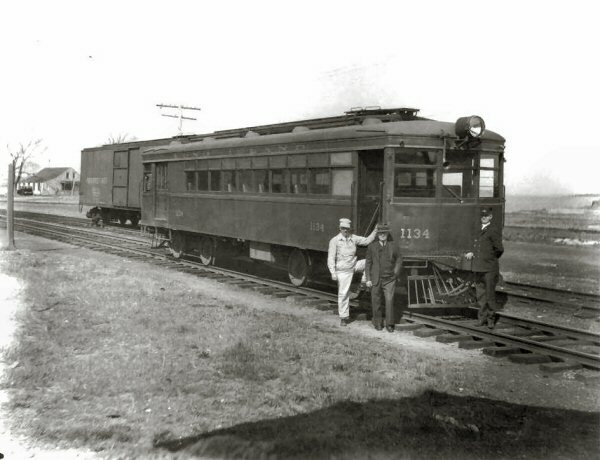 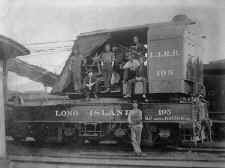 Long Island Express Co., created by the LIRR, 1882 - 1913, handled local baggage and express shipments. 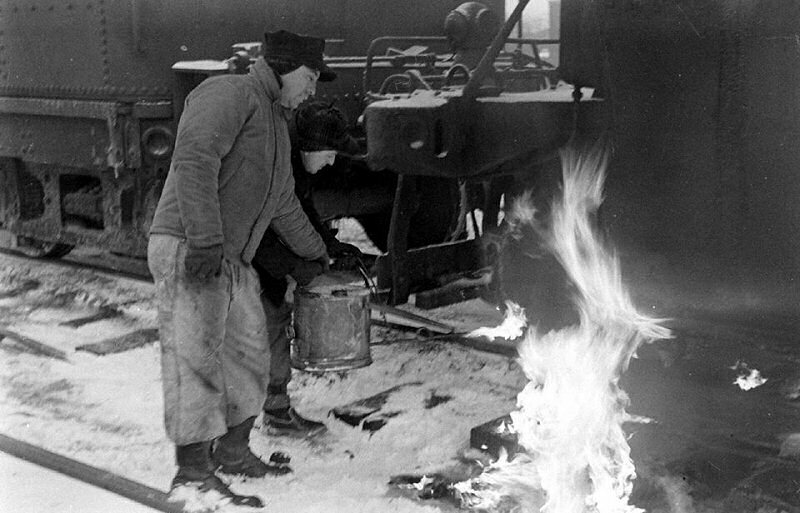 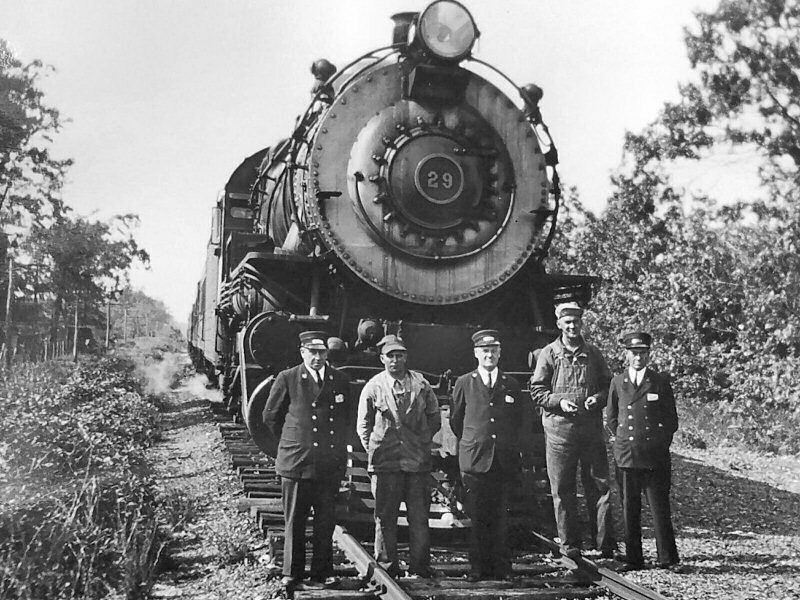 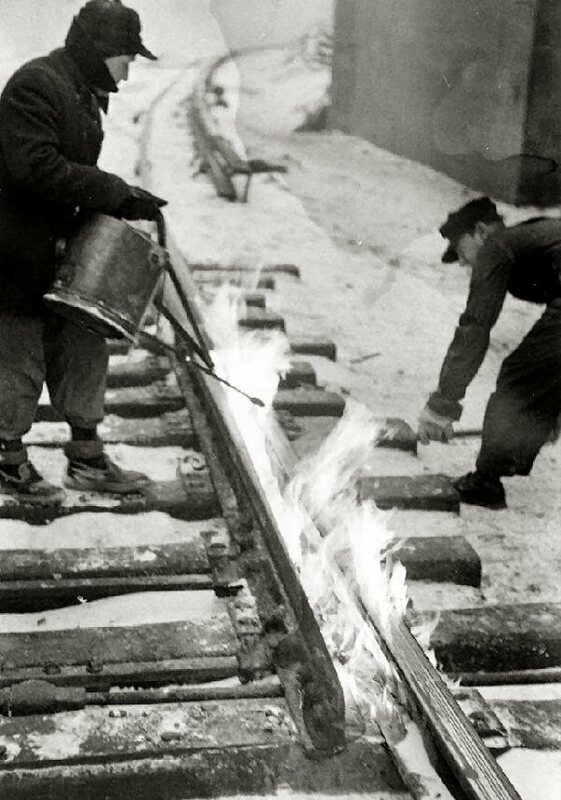 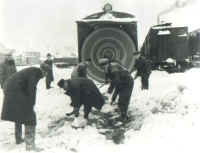 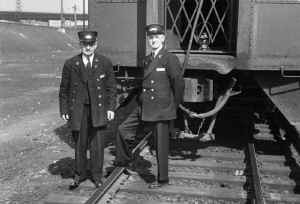 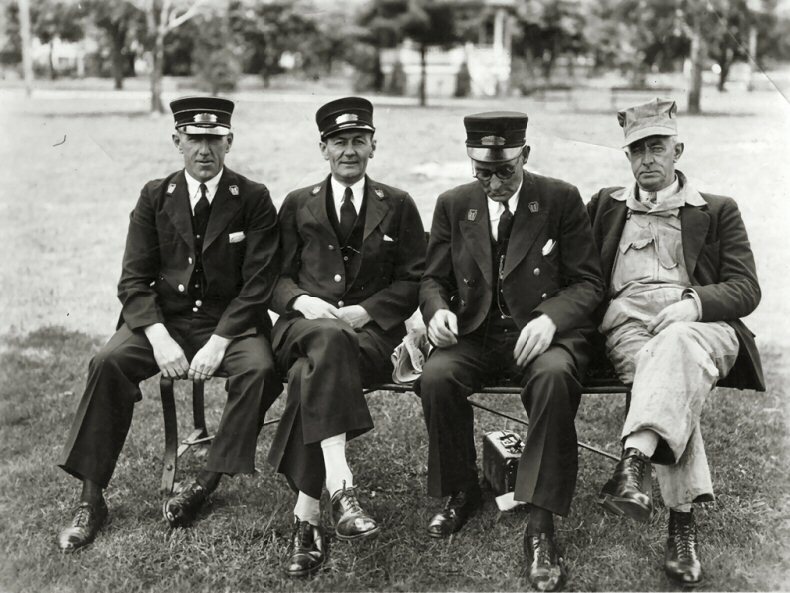 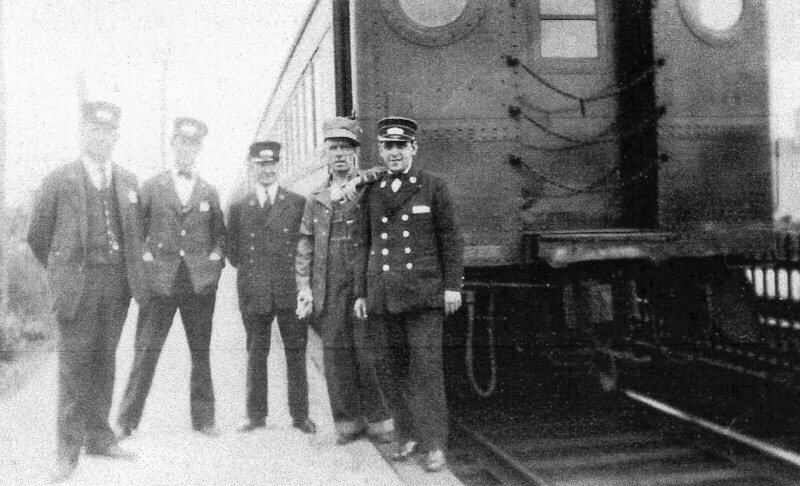 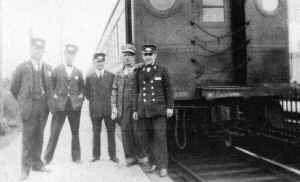 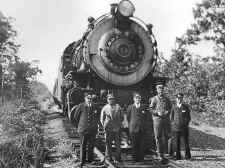 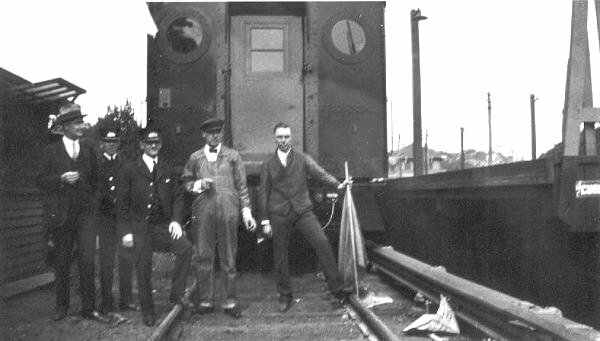 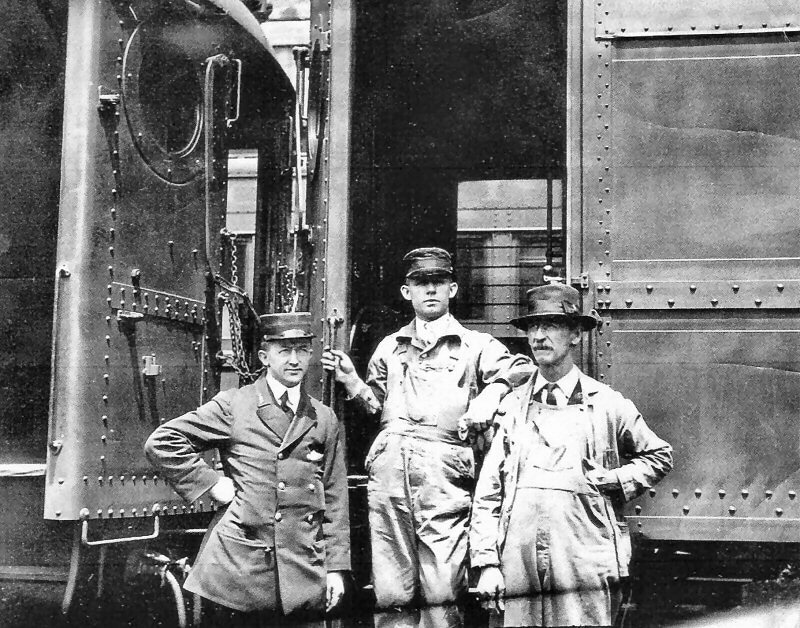 The White cap was worn by all train crew members (conductor, trainman, brakeman, collector, guard) from c. 1908 to c. 1915. 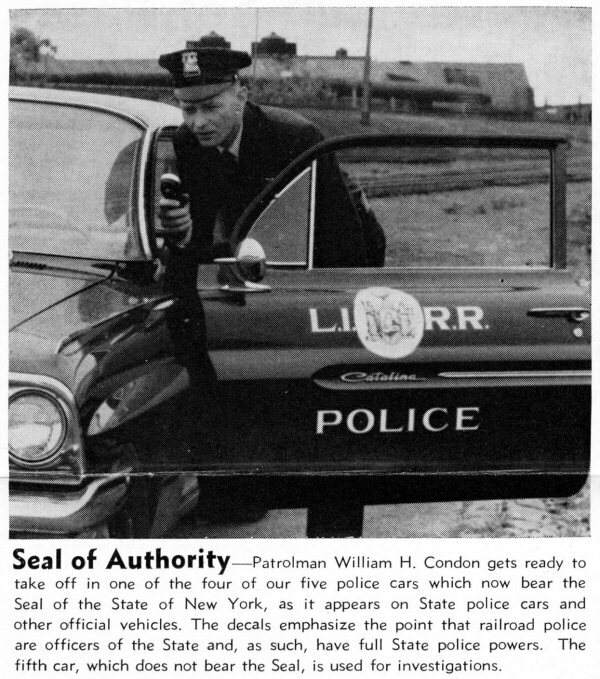 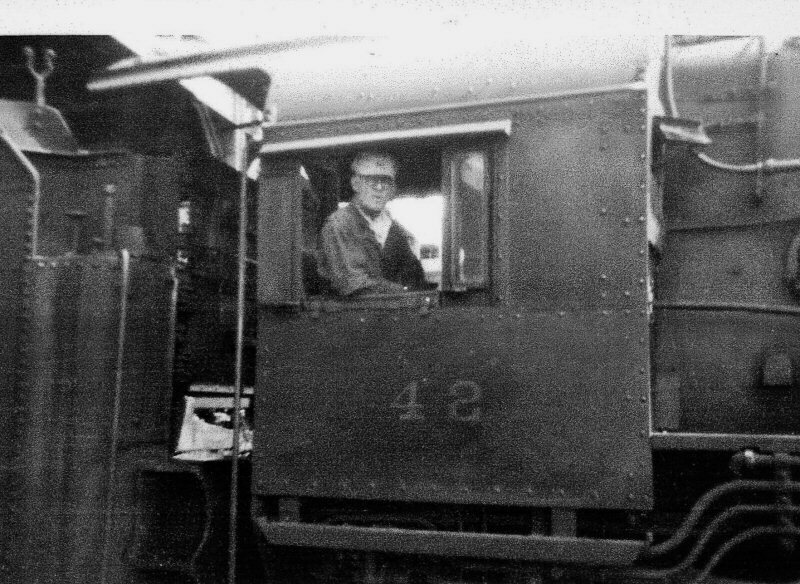 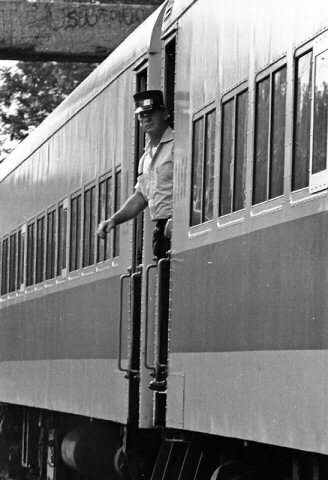 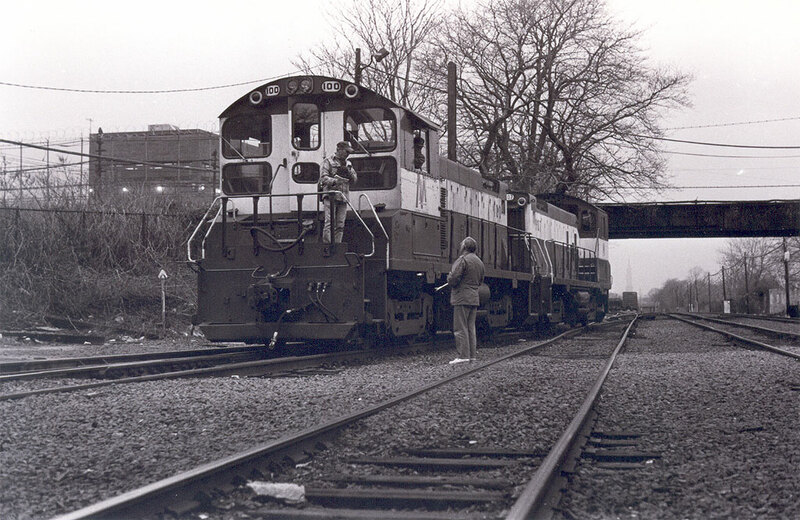 It was the summer issue cap used by both the LIRR and the parent PRR. 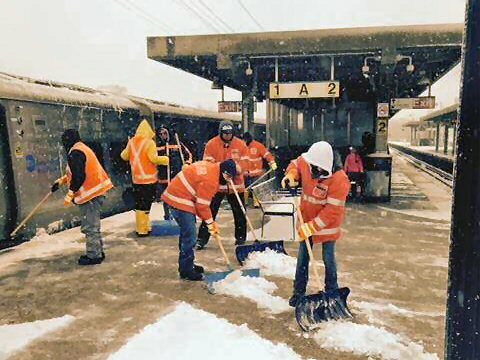 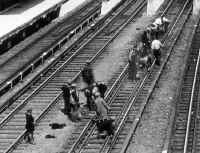 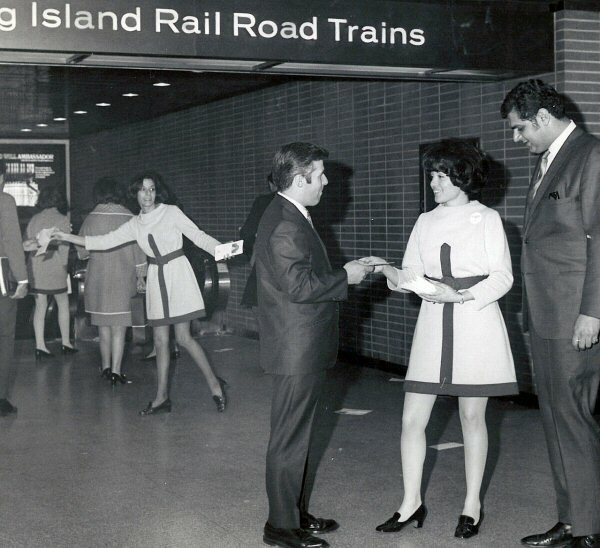 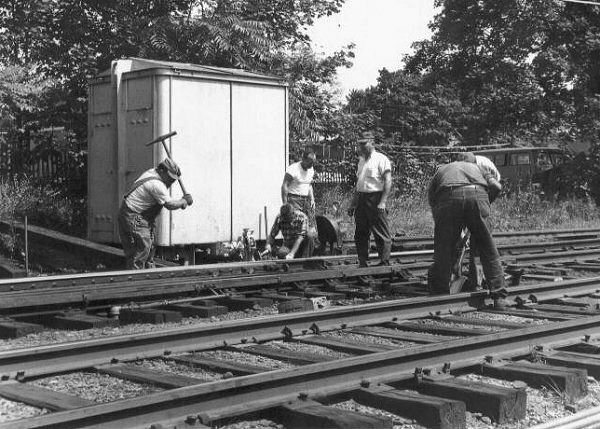 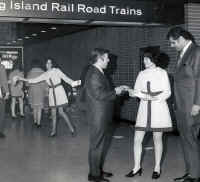 The LIRR Mini-Maid program was alive and well for several years. 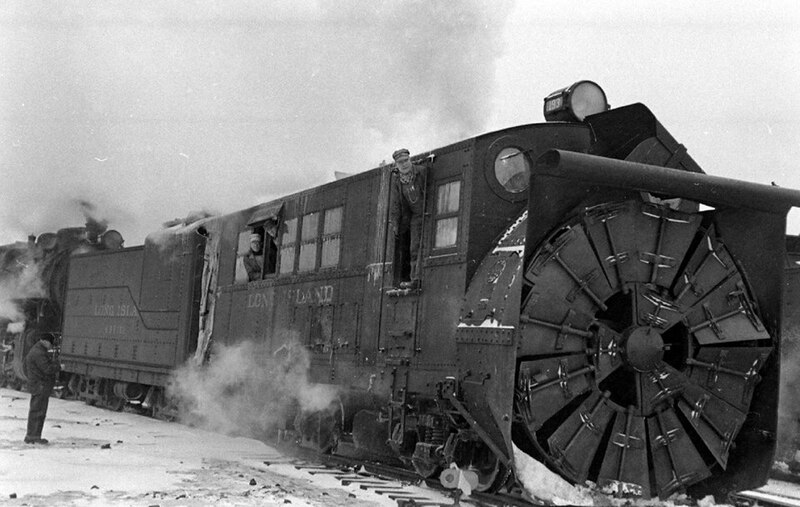 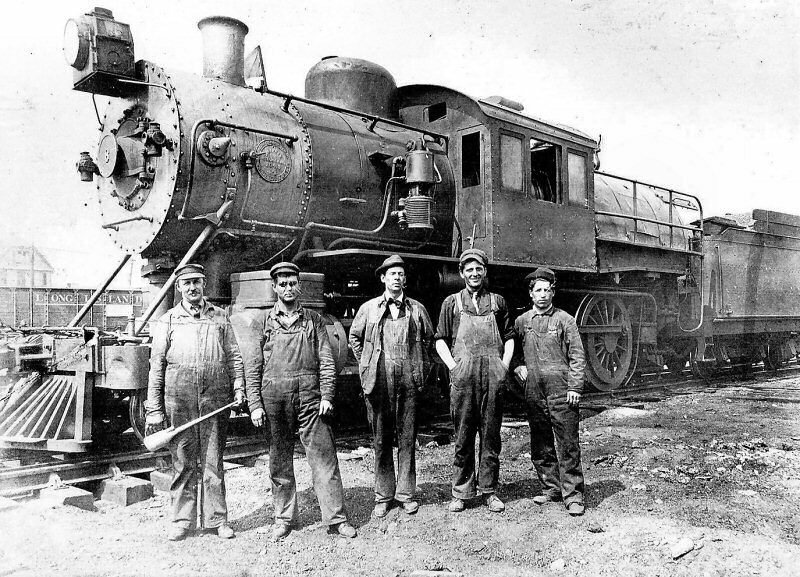 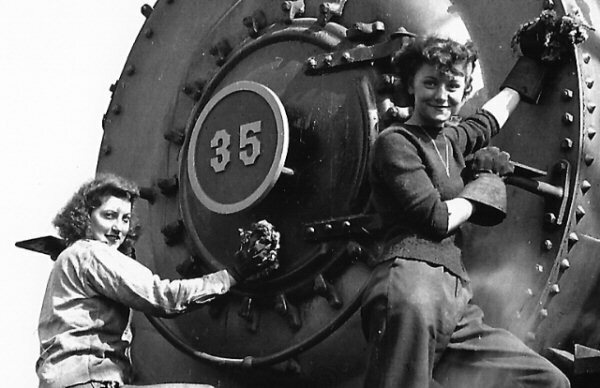 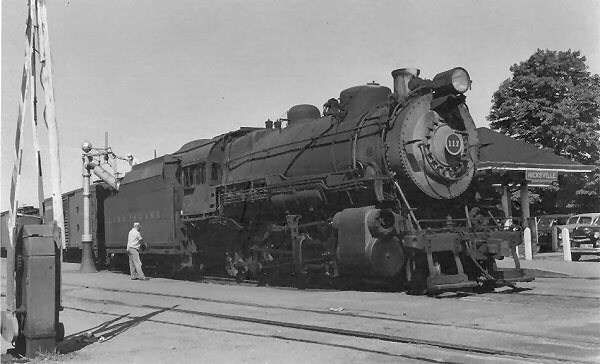 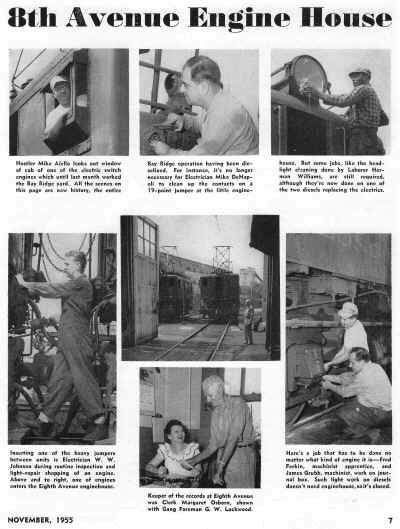 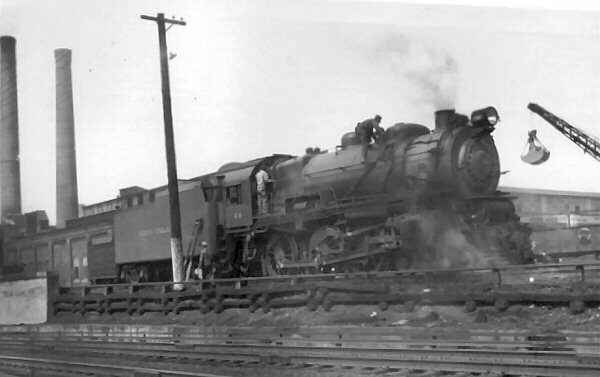 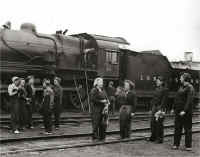 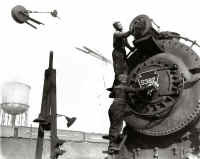 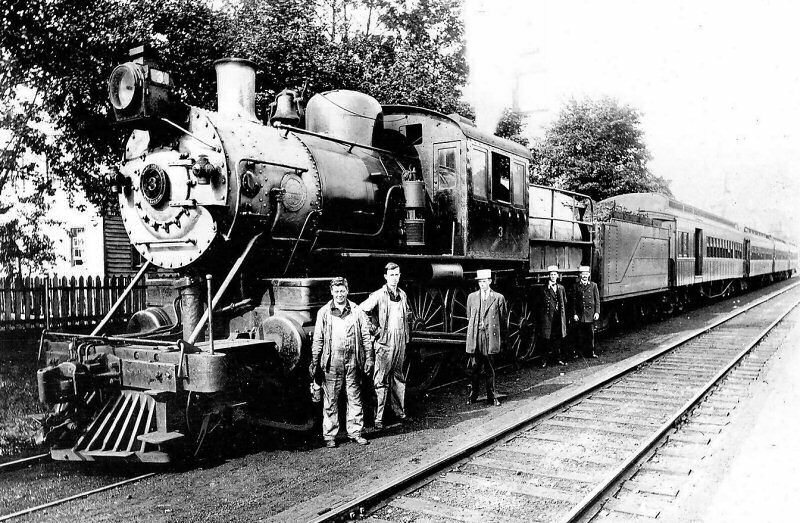 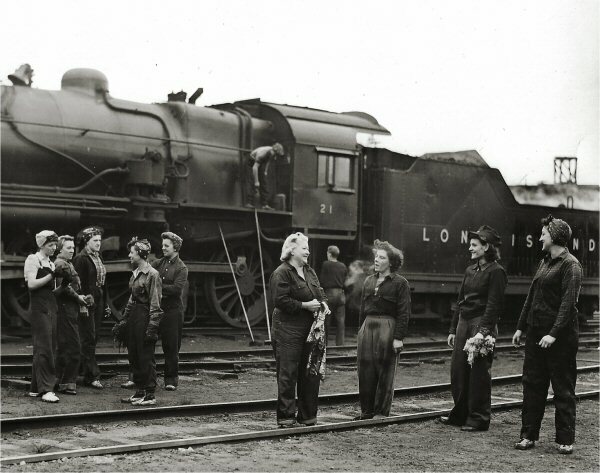 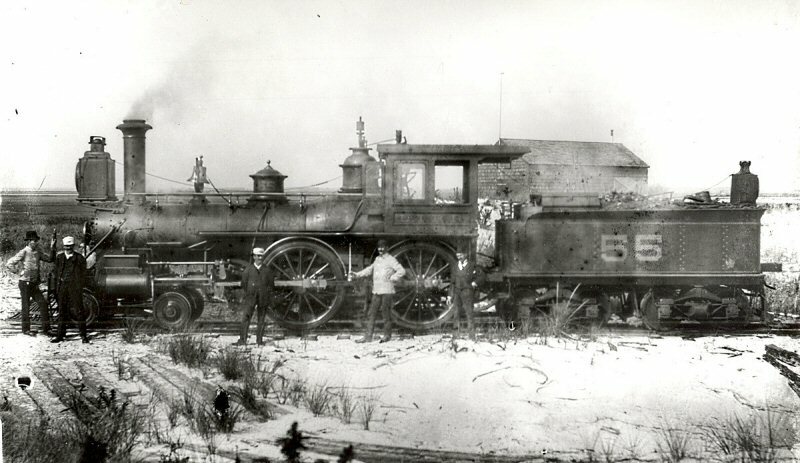 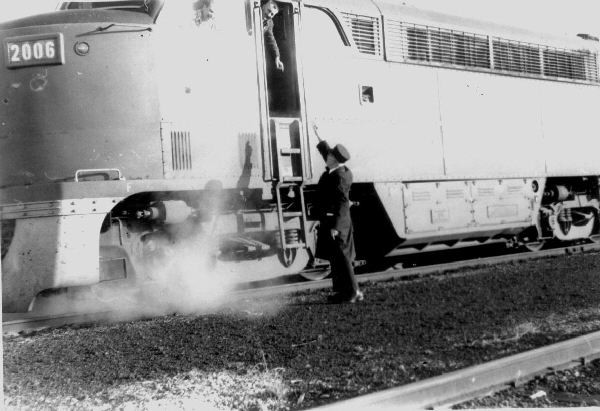 Women in the employ of the railroad could volunteer to be fitted with a yellow mini-dress and work at public affair functions from time to time. 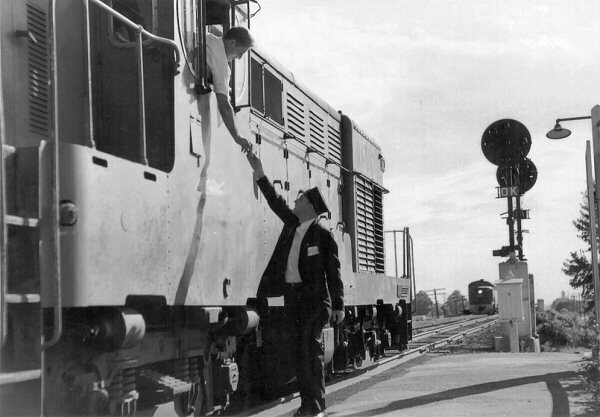 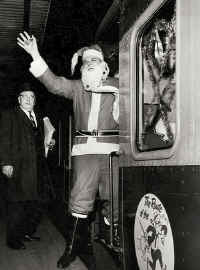 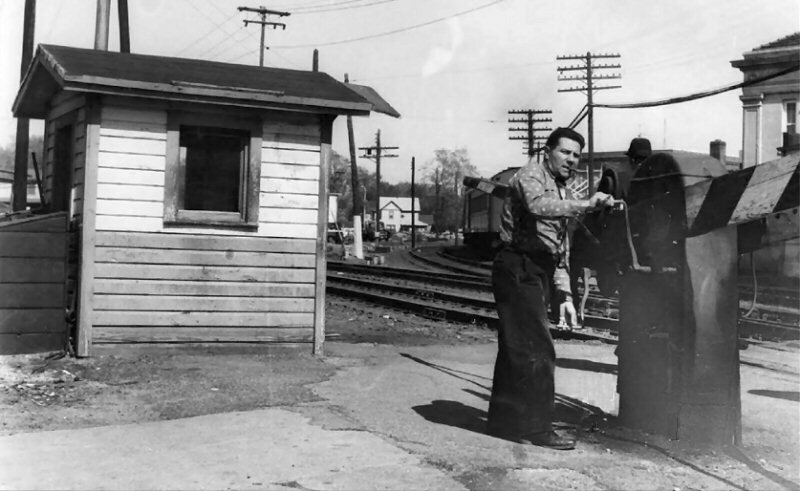 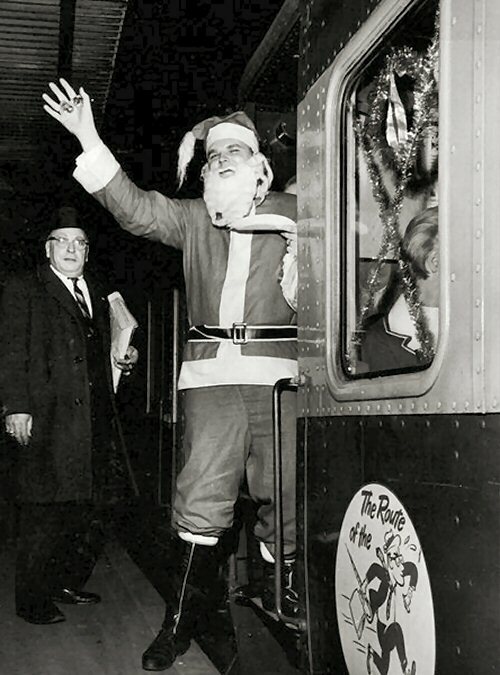 Hank and Lou (Big Dumb Lou; see photo above) along with Don Malone of the Public Affairs department, all great enthusiasts of both trains, women and mini-skirts in general came up with the idea in 1968. 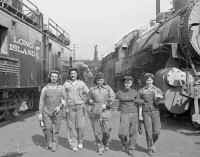 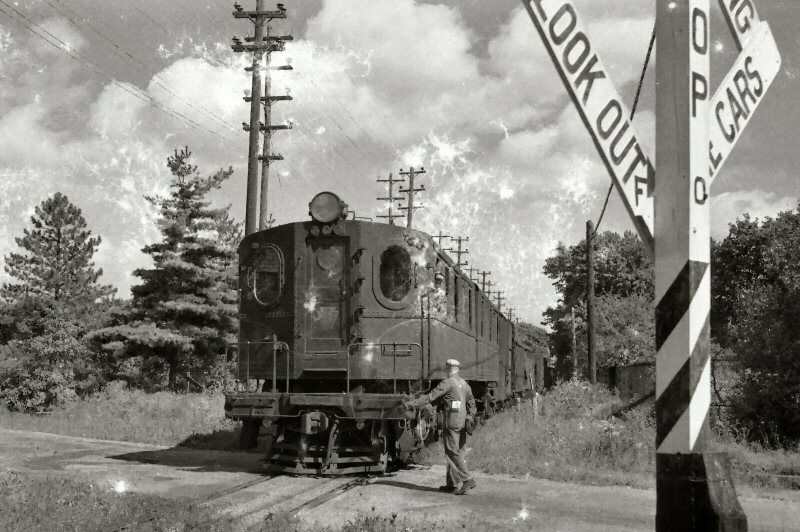 Since most women on the railroad at the time were in the clerical ranks, most of the Mini-Maids were clerks in their 20's. 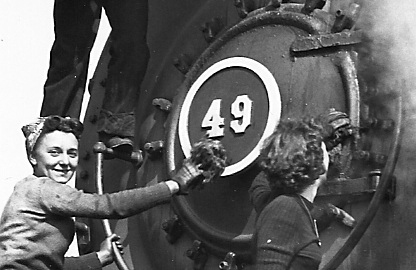 In later years, long after the program ended some of the women moved on to management jobs. 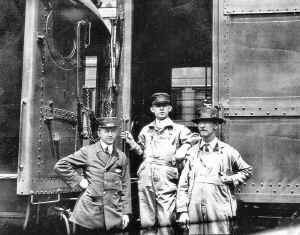 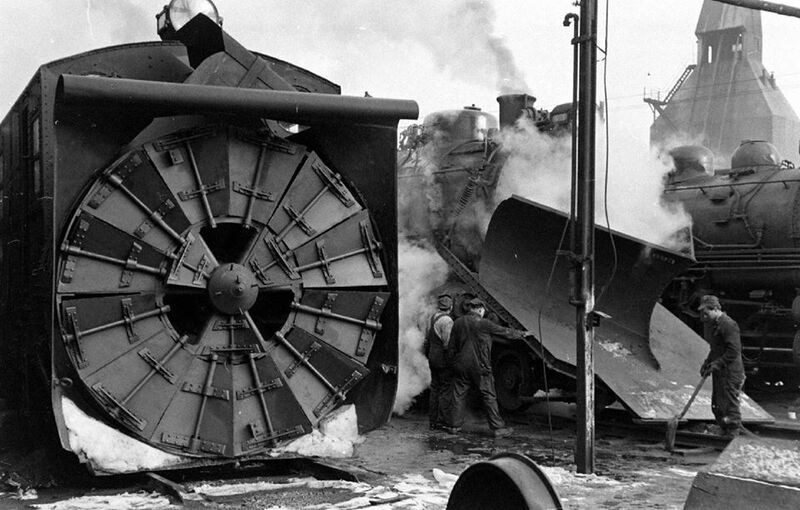 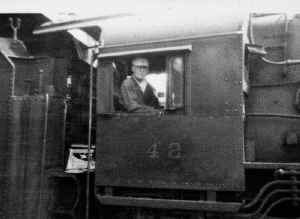 One became the Secretary to the President, another a planner, while yet another became a Trainmaster. 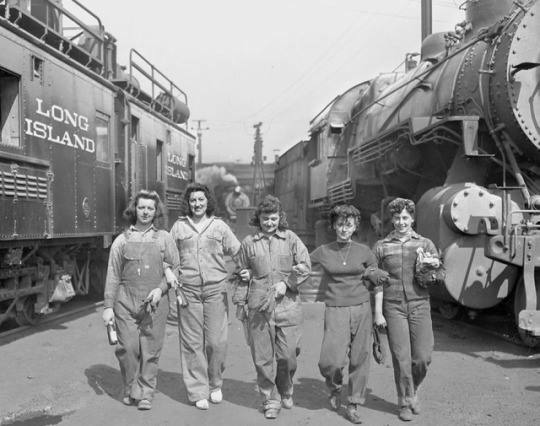 At least one supervisor recalled the Mini-Maid roster and would tease the women from time to time about that rung in their ladder of success. 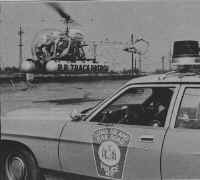 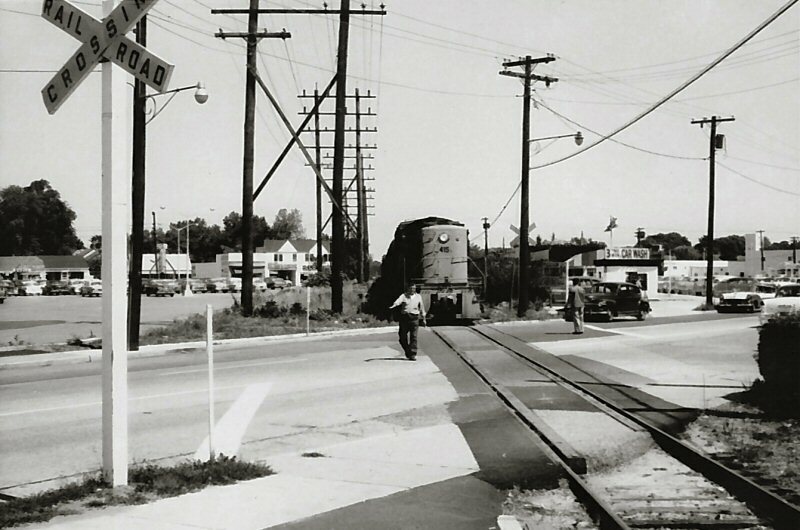 From the late 1940's through the early 1970's. 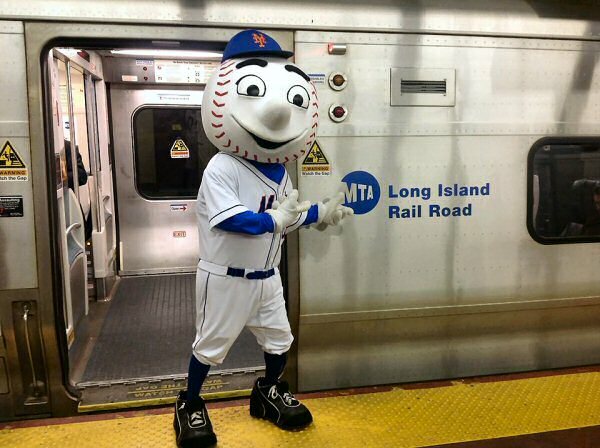 the LIRR supported an award-winning Public Affairs department which was quite the envy of corporations across the country which would send their publicists to the Railroad for ideas and training. 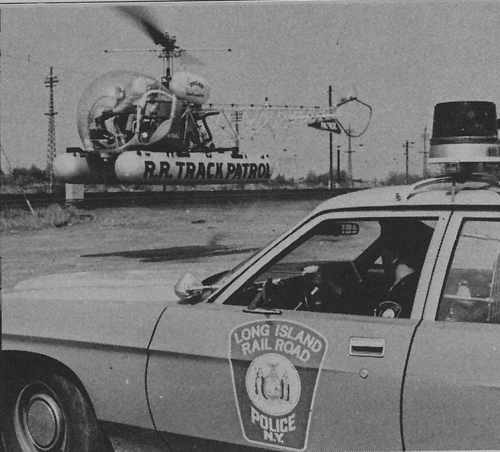 1975 LIRR booklet " Facts and Figures"
Junction of Montauk Branch and Conrail. 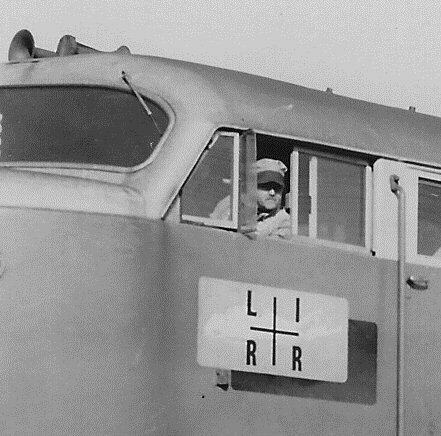 Previously "FN" Tower. 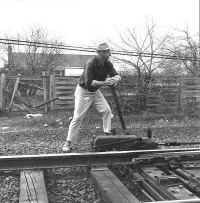 CR makes the set outs for the LIRR to pick up. 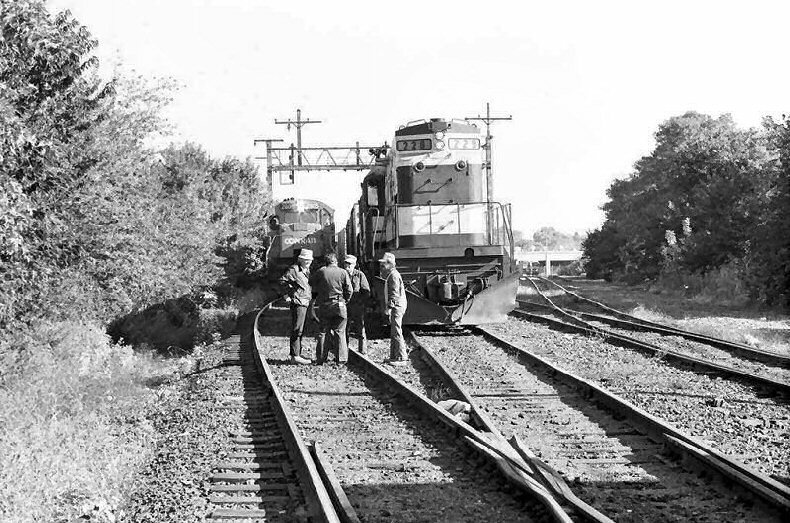 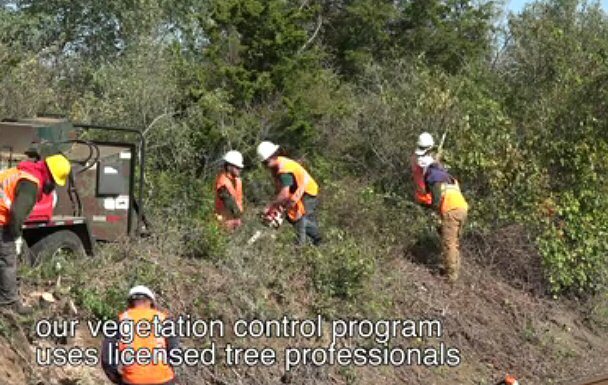 View N. The crews are discussing the upcoming freight moves.